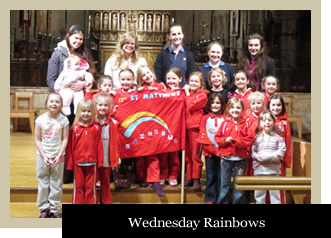 We are 31st St Matthew’s Rainbows and we meet every Wednesday during term time between 6.00pm and 7.15pm in the Parish Centre. 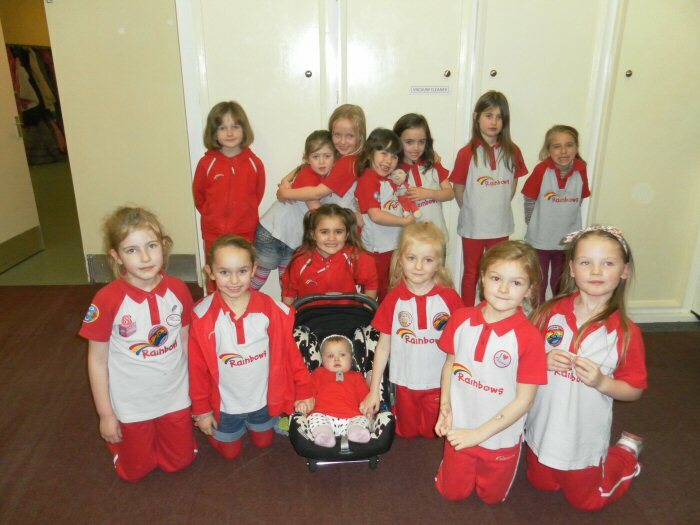 Rainbows is for girls aged 5 to 7 years who like fun, games, crafts, and to make some new friends. We work towards badges, complete challenges and above all, have a brilliant time every time we meet. We even go on special outings! This year we are fundraising in the London Marathon in aid of Spinal Injury Association. We are looking forward to the summer when we spend our meetings enjoying the sunshine(!) and have our annual trip to Abington Park! Each week, one lucky Rainbow gets to take home and look after our doll called 'Olivia' for the week and record what adventures they encounter in her scrap book. Every single girl looks forward to looking after her and it is lovely to see what fun they all have! Olivia has been to weddings, swimming, the Natural History Museum, shopping, to craft afternoons, baking flapjacks, and of course is at Rainbow meetings each week and at Church for All Age Masses. At All Age Mass on Sunday 3 February our new flag was blessed and dedicated and the girls very proudly processed with it for the first time. Currently we have 15-20 fun-loving girls and 4 even more crazy leaders! Oh, and our newest and youngest ever member, Baby Myiah (daughter of Emma, one of our Leaders). My name is Jodie and I'm the main Leader. I've returned to Rainbows as a Leader after progressing through Rainbows, Brownies and Guides here at St Matthew’s since I was 5 years old! My sister Emma has also recently joined our leadership team. 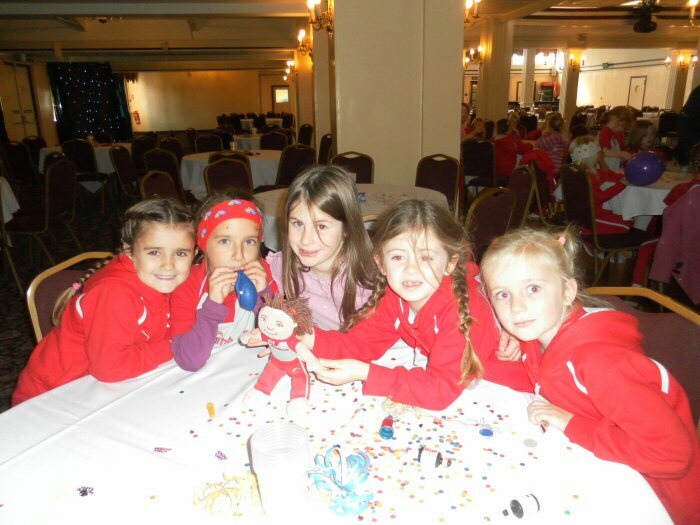 Our other two Leaders both have a background in GirlGuiding and working with children. 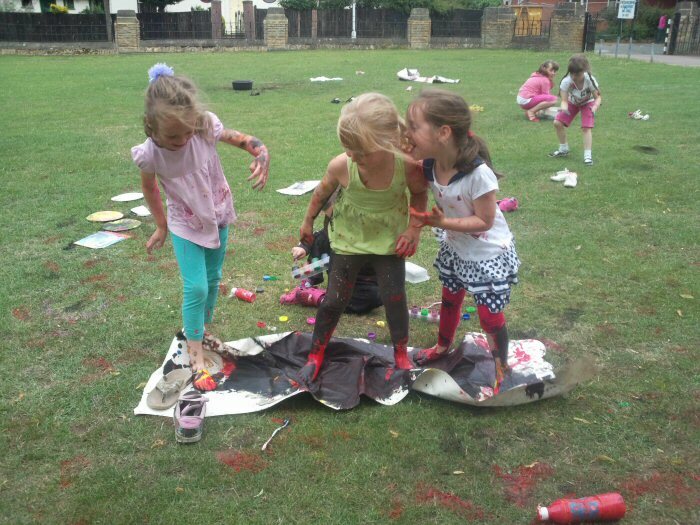 So we have plenty of wacky ideas for activities and have just as much fun as our girls! If you would like to join or have any questions, please contact the Parish Office. Find information about Mums & Tots activities at St Matthew's Church. Browse through photos of some of our recent events. Read about uniformed organisations including Rainbows, Brownies, Guides, Beavers, Cubs and Scouts. 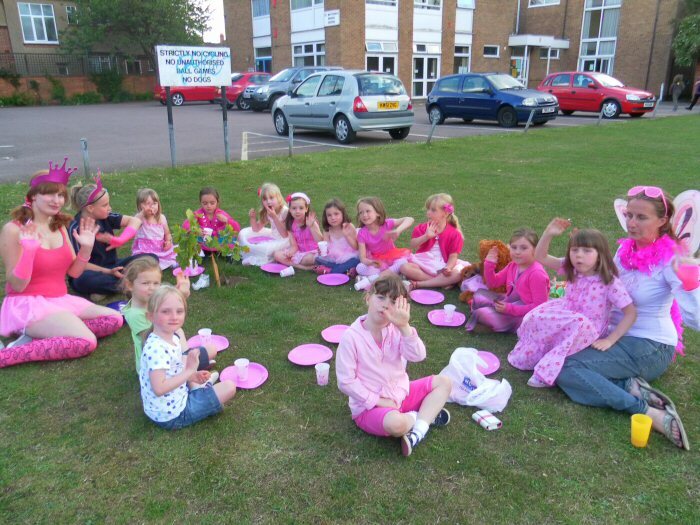 Find information about Rainbows and Brownies meetings that take place on Mondays. 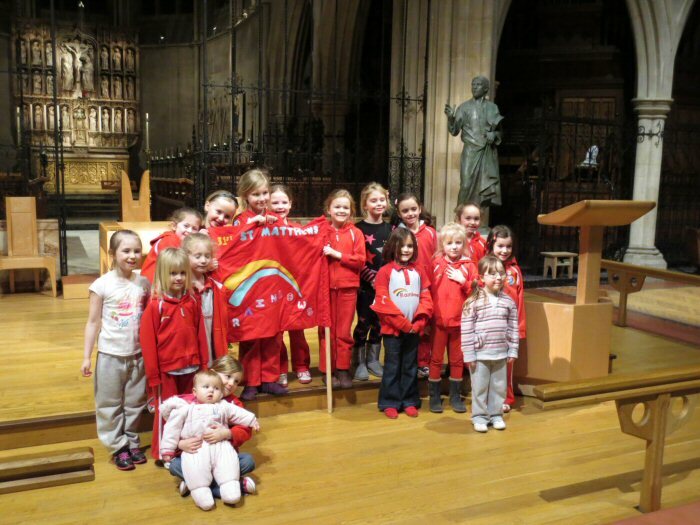 Find information about Rainbows meetings that take place on Wednesdays. Find information about our obligations towards safeguarding children, young people and vulnerable adults.